Most of you people may not be aware of the awesome game called Astroneer since it is in the preview stage of the Xbox and Windows. To those who know about this game may find it very tricky and confusing to play. Here I am to help you understand this game and make you play it ‘Like a Boss’. 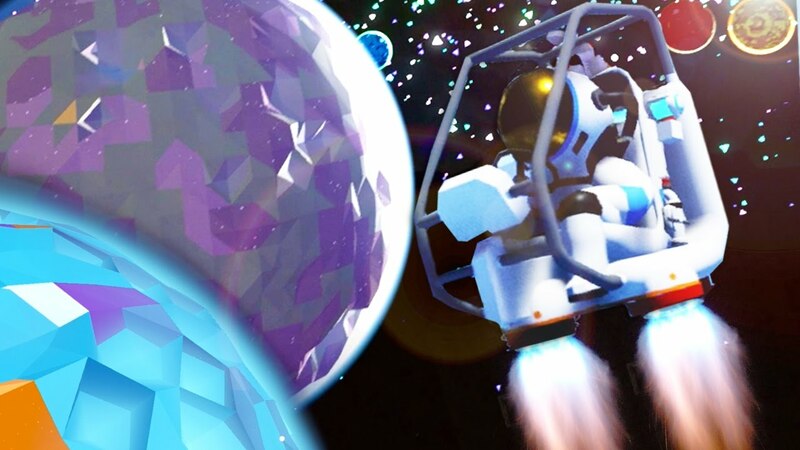 Astroneer is an exploration third world game where you fly off to different planets, discover and explore them with no particular goal similar to Minecraft. The game is free to play on the windows pc and Microsoft consoles but is in the Pre-alpha stage of production. The game since not fully released contains a lot of bugs, dead ends and various other issues that may execute themselves as you start playing so don’t worry if your game crashes and keep a saved file for your progress. The controls for the game are pretty tricky whether you play on the Xbox One or your PC and takes a lot of time to get a hang of them generally enough for you to get fed up and stop playing the game. To help you play the game at your full potential, the following is the guide for the controls on your Xbox as well as your PC. Astroneer has a few different controls that you need to execute simultaneously to play the best potential. The controls for the movement of your character are pretty standard to every third person game with the left joystick for movement and the right joystick for the camera and the A Button to jump. For your PC also, these are almost standard with the Right click to move the camera, W key to move forward, and Space key to jump. The most fun, as well as the confusing part of the game, is to use the terrain shaper that is holstered to your character. On the Xbox, Press X to deploy and holster your terrain shaping tool. When using the terrain shaper, the right joystick is used for aiming the terrain shaping tool. The L and R buttons are toggle buttons for digging terrain, adding terrain or flattening the terrain. On your PC, use the E key on your keyboard to deploy and holster your terrain shaping tool. The Alt and the Ctrl keys on your keyboard are the toggles for the different terrain options. Holding down the left trigger on your Xbox controller allows you to interact with objects in the world, click buttons on your base or move around things in your backpack. Hold the right trigger is used the same to pick, drop and snapping different items to their place. The cursor mode can be used on the main menu to access saved files and to load games. Press Y on your Xbox controller or the Q key on your PC keyboard to toggle the view of the items in your backpack. On Xbox, viewing your backpack automatically enables the Cursor mode, and the right trigger becomes your select button. The orange arrows at the bottom are used to craft various field equipment required in the game such as tethers, solar panels, and more. Tethers are kind of your lifelines as they are the essentials for you to survive in other worlds. These include the oxygen and the power supply that you require. Before using them, you need to craft the tethers. To utilize them, use the D-pad on your Xbox controller or the T key on your keyboard. The Astroneer just like every other game offers an option to view the controls guide to the game. This can be accessed by pressing the View key on your Xbox Controller or by using the Pause option on your PC. It is easy to get started with your exploration once you land on your first planet. The only things you carry are is your terrain shaper, your space pod, and your backpack. To get started, you need to collect resources that are Resin and Compounds. Resin allows you to build basic structures, while compounds allow you to craft all important tethers. As you may intercept by now, crafting tethers is your priority since they provide you with life resources. These tethers are made using Compounds which are spread in abundance all across the map for you to collect. Vacuum up the materials around you using the terrain shaper and craft some tethers from the compounds in your backpack. Link different tethers to create oxygen and buy yourself time to explore the planet until you research the ways to breathe by pressing the D-pad on your Xbox controller or the T key on your keyboard. The next step is to explore the world that you have landed on and start your very own colony. Stack up on the resin since you need it to craft new base modules. When you have three stacks of resin, you can craft a new base module. Go to your home pod, and enter cursor mode, extend a connector from your base. Right now, you can’t destroy existing units, so make sure you add extra connectors before turning them into a module. You can add between three and five links per connector, depending on space. Once you have got yourself a module, you can use the orange buttons to select from different kinds of units and you can build them when you have gathered the list of the required material for the particular unit. Following is the list of units you can build as of now in the game, this is expected to increase to a vast number once the developments in the game are finished and it is finally polished up for the full release. Placing a research module in your colony allows you to randomly unlock new units and equipment in exchange for power and research objects. Research objects can be found everywhere, and need to be lifted using cursor mode. You can find them in abandoned space wrecks, attached to subterranean alien plants, and beyond. They have to be dragged back to your base manually, so be ready for a trek. Research objects also grant rare materials occasionally. It’s worth building a Research unit near to the exit of your mine. As the name suggests, this unit allows you to convert ores to metal bars which are the required to build various structures. The ores can either be obtained by mining in underground caves or by scavenging through wrecks and probes. This unit is one of the coolest things in the game as it allows you to 3D print vehicles. The vehicles that can be 3D printed include space buggies, seating for the buggy, trailer modules and a variety of other vehicles. The printer allows you to build larger objects as compared to the printer in your backpack. It can build larger solar panels and other objects from your research unit. It acts kind of like the barter system where you exchange different commodities without using a currency. For example, building the Trade Platform next to a fuel condenser will convert solar power into hydrazine, which can then be traded easily for other items you need. The Fuel Condenser allows you to convert power into hydrazine fuel in huge amounts. This can be traded or used in your shuttle for traveling, exploring and colonizing other worlds. 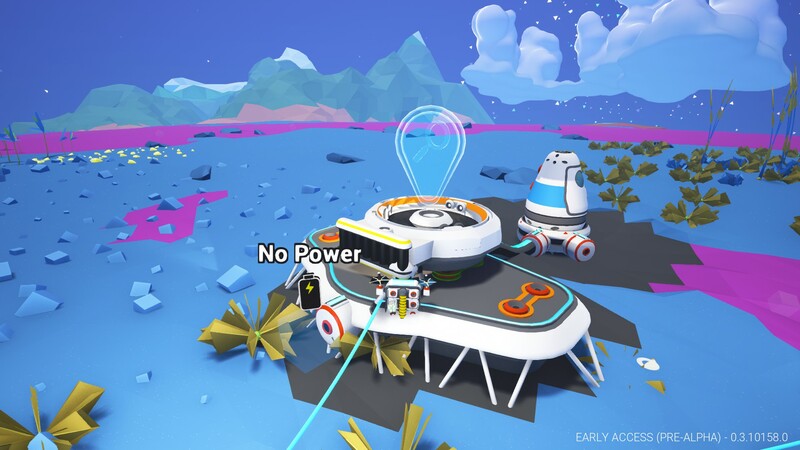 The second most important thing for your survival in the game is Power which is needed to power the Astroneer as well as the terrain shaper. The Powerline is denoted by the glowing orange bar at the center of your backpack. The Power regenerates itself slowly over time but the regeneration process is much faster if you build yourself a decent Power Grid. The following accounts for a small power grid and can be upgraded as you progress through the game and collect more materials. Small solar panels can be generated inside your backpack which can be attached to the top of your backpack during the day to give you power during the day. Bigger solar panels can also be built using the Printer and set up nearby. You can build and set up wind turbines in your colony so as to provide yourself with extra power during the frequent wind storms on your planet. You can set up generators to get yourself power during the night and in the absence of any wind storms. These generators turn organic matter into power. Batteries are an essential component of your power grid since it stores all the excess power collected from the various sources and use it when necessary. 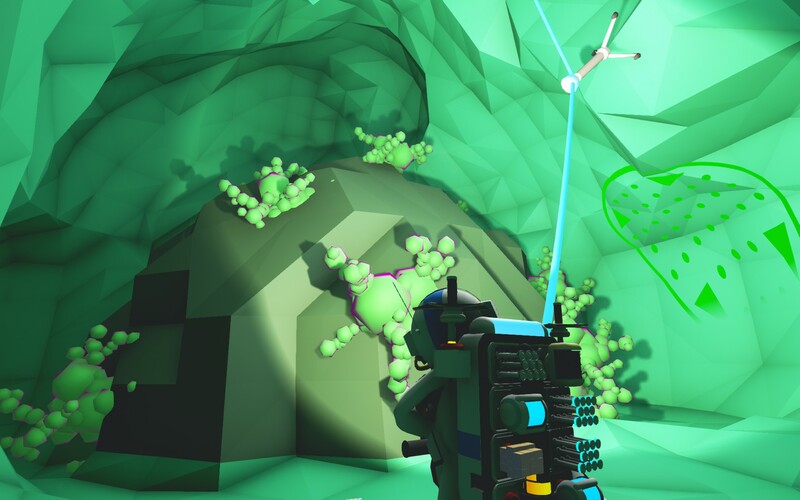 Another big part of Astroneer is mining as most of the rarest materials that are required for various purposes occur underground and have to be mined out. Before mining, you need to set up a smelter in order to turn raw ores into metal bars for crafting more complex components. Following are a few tips for you first-time miners! Mining is the only source for rare materials until you unlock the Fuel Condenser and Trade Platform to trade Hydrazine for different items. It might not be a good idea for you to dig straight down, like in Minecraft as caves in Astroneer occur naturally and provide a steady ramp for bringing in a tether line. Stock up yourself with plenty of tethers before going mining so as to prevent yourself from suffocating to death while at it. 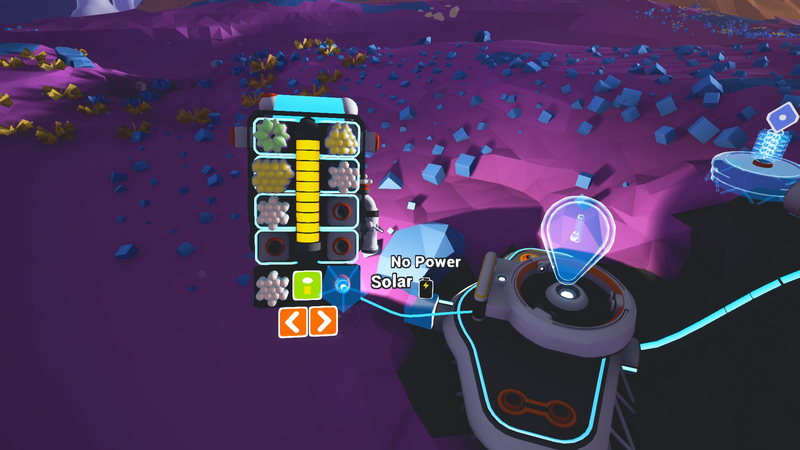 Take some batteries with you after making sure your base is sufficiently stocked up on power as mining depletes your basic energy level quite quickly. Be careful not to mine at your feet so as to prevent yourself from falling into a lower chasm which could lead to you separating from your tether, and dying alone in the dark. Another principal aspect for Astroneer is Space travel since the game’s only concept is for you to space travel to different worlds and explore them. To travel in space, you will need a Vehicle Bay and enough resources to build a shuttle and leave your base world. This might sound very easy to read but indeed it is very difficult to reach this point. The following points would provide you with some essential information and maybe ease your timeline to space traveling in Astroneer. Make sure you have a Fuel Condenser built so you can properly stock your shuttle with enough fuel for your RETURN journey to and from the planet you are out to explore. Having researched and crafted a Habitat in your base world before leaving will help you set up a new base on a new planet that you visit. Take plenty of tethers and resin stacks with you as to help you get established as secondary worlds sometimes have scarce resources. Try to bring the materials to set up a Trade Platform on your second world as you never know what new materials may be available in the secondary world. The icon above your ship provides the view of the local star system. The circle around the edge shows how far your fuel will take you. Try not to go too far if you plan to get back to your base world and this is another reason to stock up your backpack with fuel. Landing on a new planet is a little buggy at the moment, but if you do successfully select a new planet and an appropriate landing spot, you can begin building a new base. The game even though in pre-alpha stage is quite fun to play and is definitely worth a try. it is free to play so there’s nothing to lose and who knows, you might get a hang for it.